As Tallie is in the midst of directing the most ambitious film she has yet undertaken, small disturbances begin to ripple through her well-ordered world. An outside audit reveals troubling discrepancies in the financial records maintained by Victor Carson, Tallie's longtime, trusted accountant. Mysterious receipts hint at activities of which she has no knowledge. Soon it becomes clear that someone close to Tallie has been steadily funneling away enormous amounts of her money. In the wake of an escalating series of shattering revelations, Tallie will find herself playing the most dangerous game of all -- to trap a predator stalking her in plain sight. 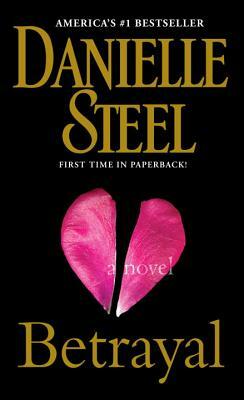 In this riveting novel, Danielle Steel reveals the dark side of fame and fortune. At the same time, she brilliantly captures a woman's will to navigate a minefield of hurt and loss -- toward a new beginning.